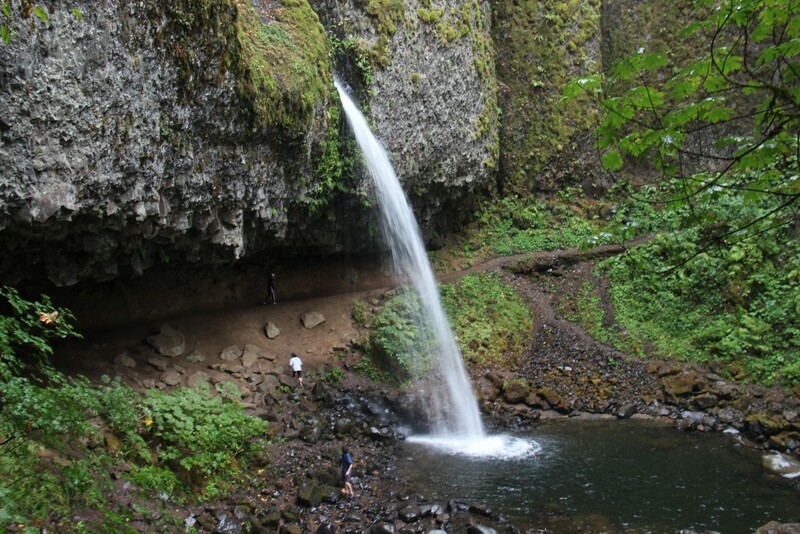 Welcome back to the Ultimate Oregon Road Trip series on Travels ‘N’ Trails! 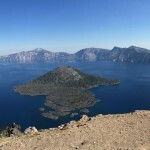 J and I spent nine days road-tripping all over Oregon last fall, so over the next few weeks I’ll be recapping our journey and giving you advice on where to go and what to do, so that you can plan your own Ultimate Oregon Road Trip too. 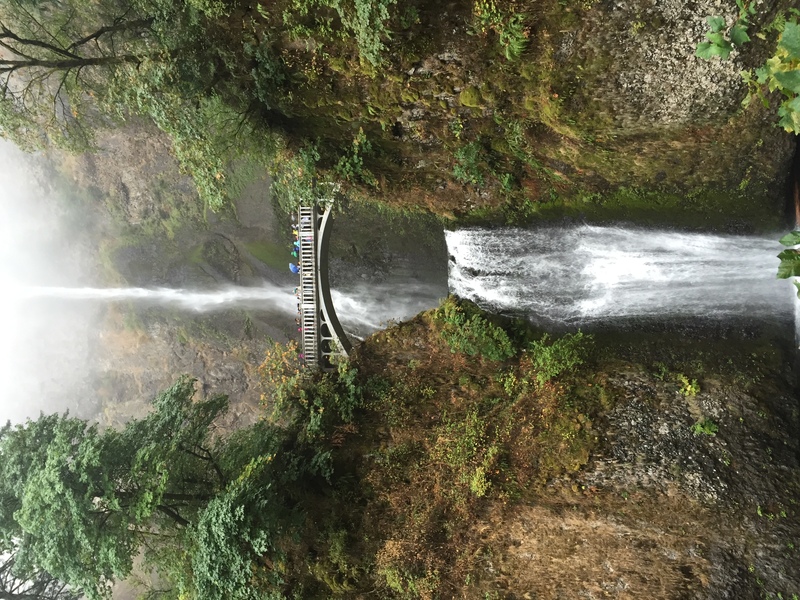 Last week started with an Afternoon in Portland. 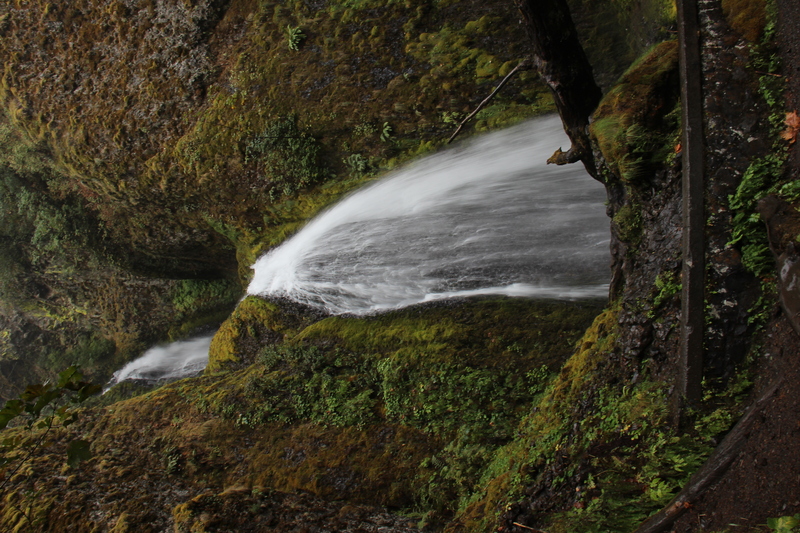 Next up on our trip was a drive along the Columbia River Gorge. 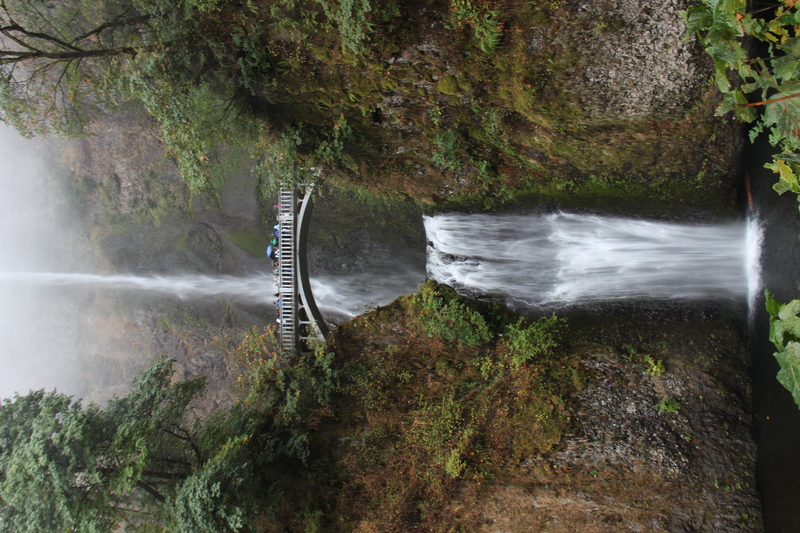 The Columbia River is the border between Washington and Oregon and is one of the most scenic drives you’ll find! 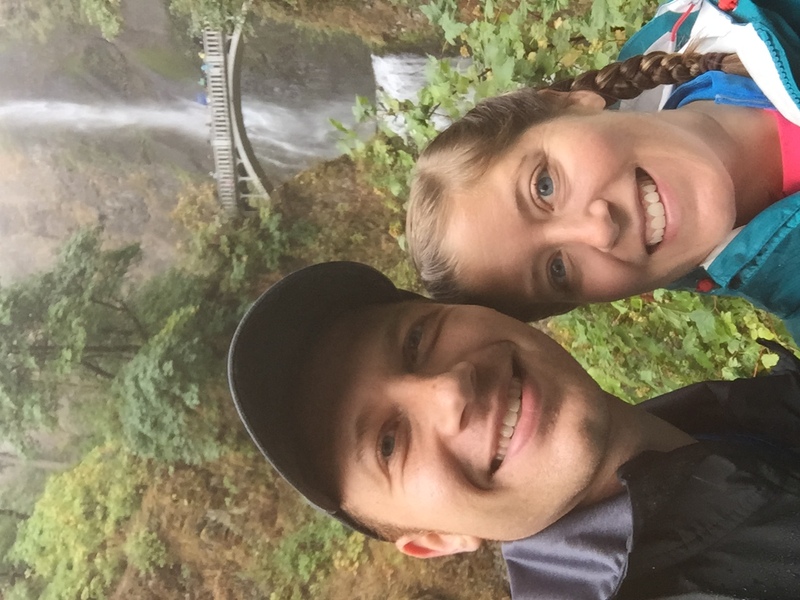 Unfortunately it was rainy and foggy the day we drove it, so we didn’t get to see the views, but we had a wonderful time hiking Multnomah Falls and the surrounding area. 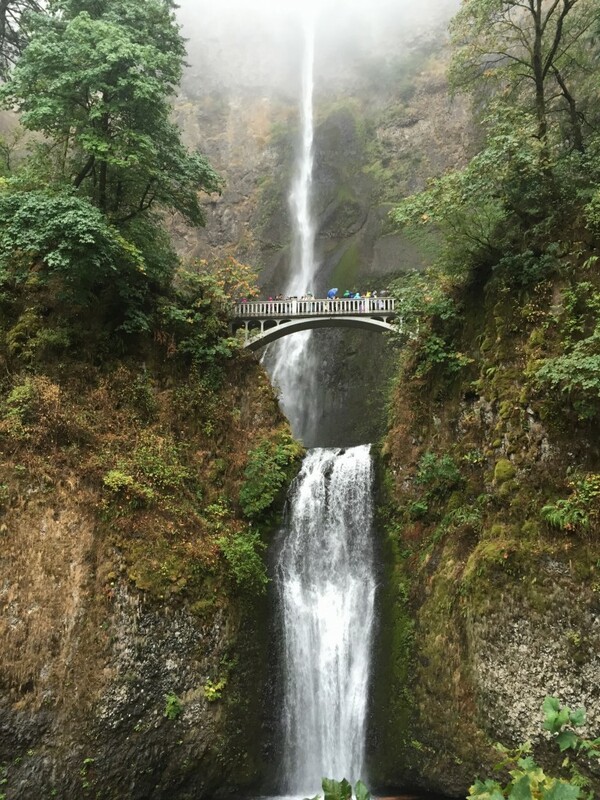 I’ve seen so many pictures of Multnomah Falls, but there is really nothing quite like standing at the base and staring up at the huge 620 foot waterfall! 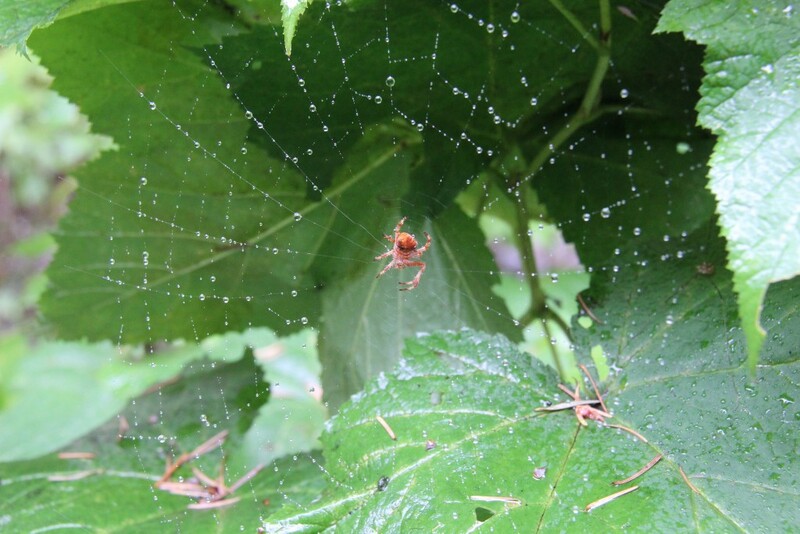 Even in the fog and rain, it was gorgeous. 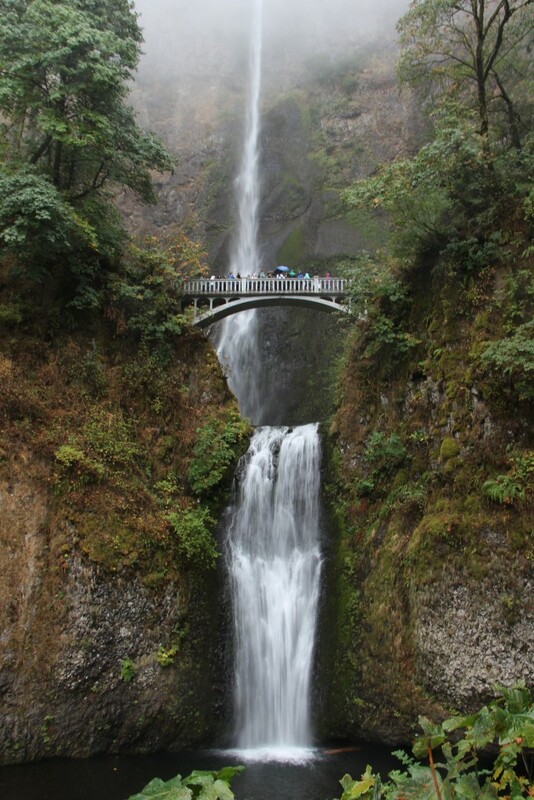 Multnomah Falls is incredibly popular because of its’ location right next to the Columbia River Highway. Hundreds of people stop here every day and walk up the short path from the parking lot to see the falls from the lower viewpoint. A short trail leads up to Benson Bridge, where you can get a better view of the upper falls. 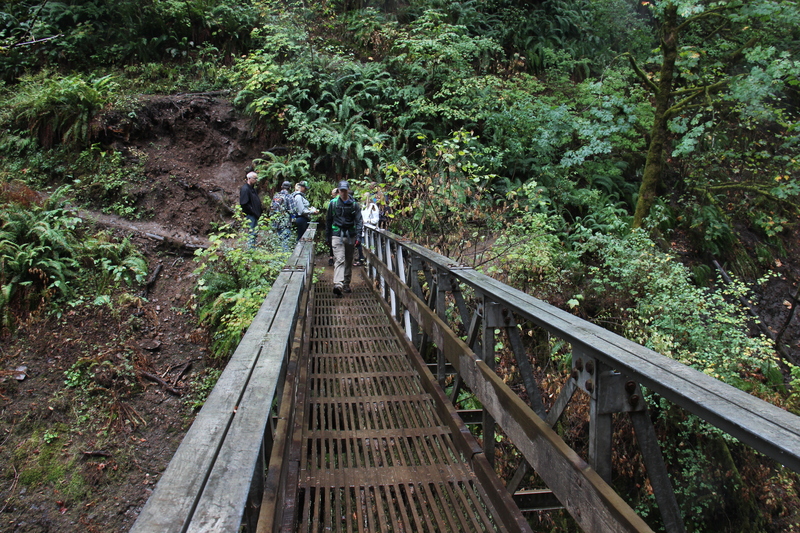 After the bridge, the trail switchbacks 11 times up to the top of the falls. 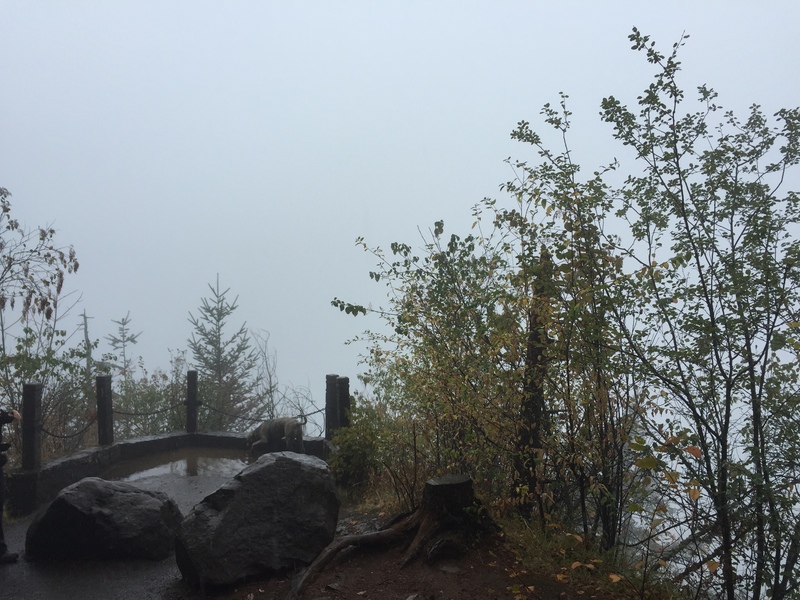 It’s a little over a mile to get to the viewpoint at the top, where you can peer over the edge to the parking lot below! 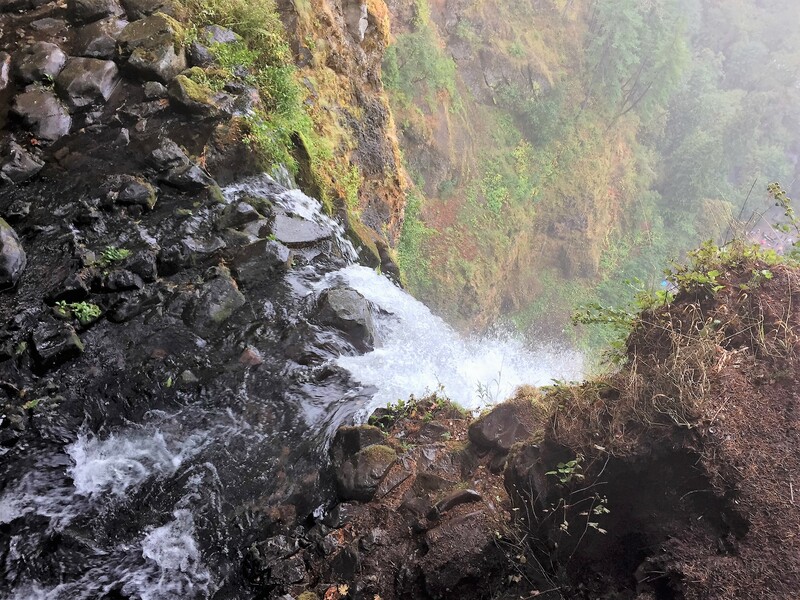 Most people simply climb up to the top of the falls and then head back down, but we chose to continue on and hike the 5.4 mile loop though the Gorge to check out some other waterfalls as well. 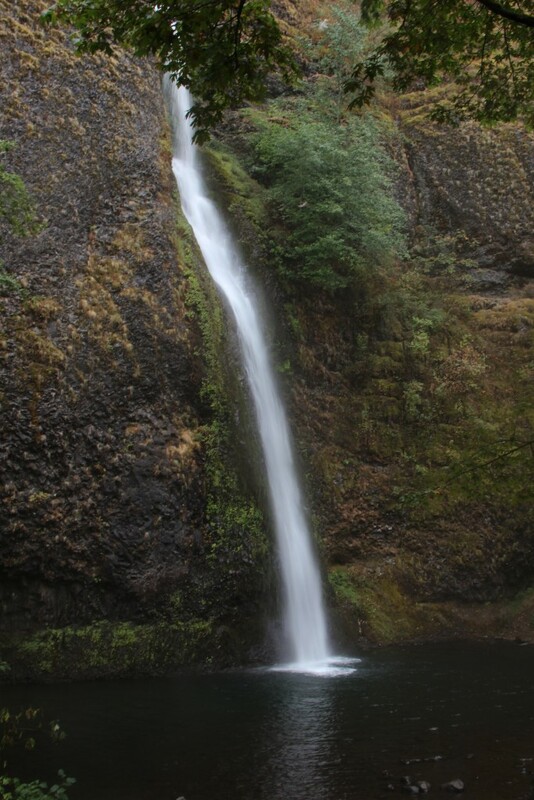 First up was Dutchman Falls. 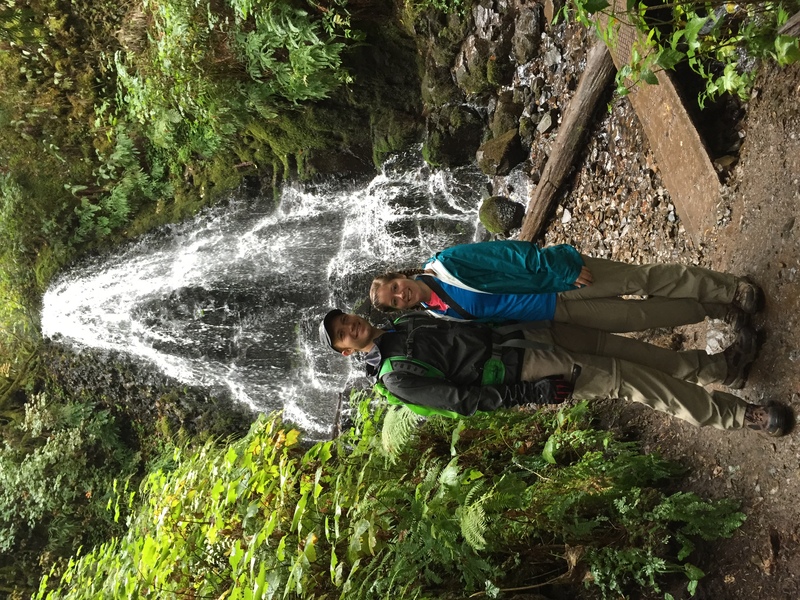 It rained on and off the entire day but was not as bad once we got up a little higher! 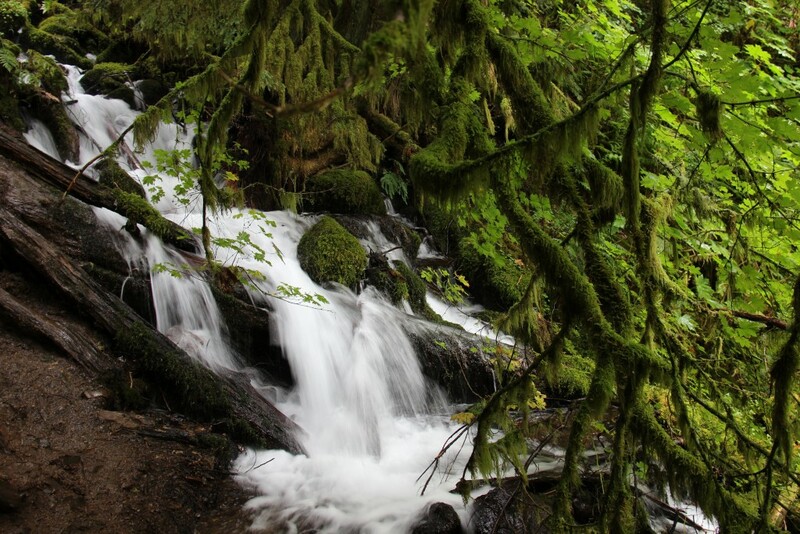 I absolutely love how green the forests are in the Pacific Northwest. Next along the trail is Ecola Falls. 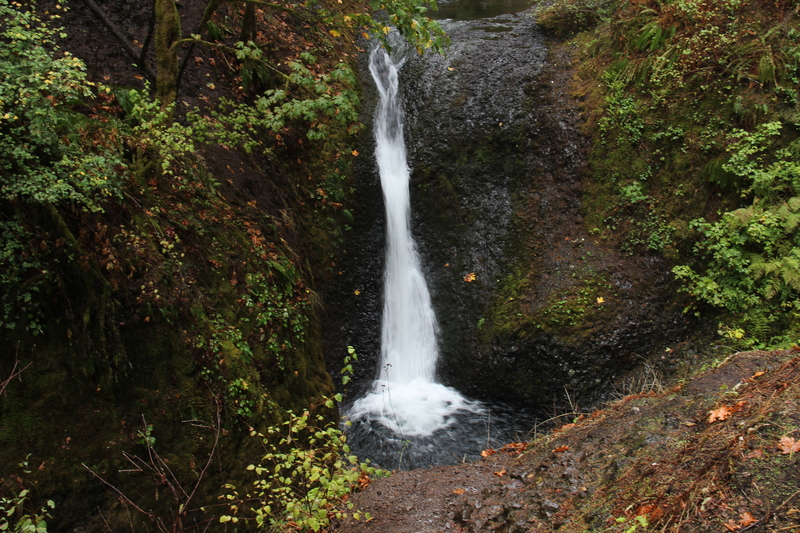 Not many people were out hiking the trail to Wahkeena Falls, so we had a lot of it to ourselves. There’s nothing quite like the peacefulness in the forest. 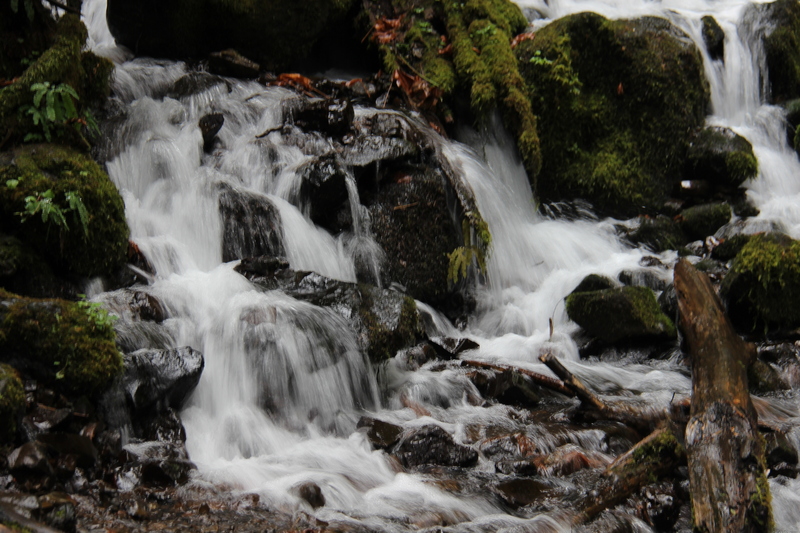 For a while the trail follows Wahkeena Creek, and there were these cascading falls all the way down. 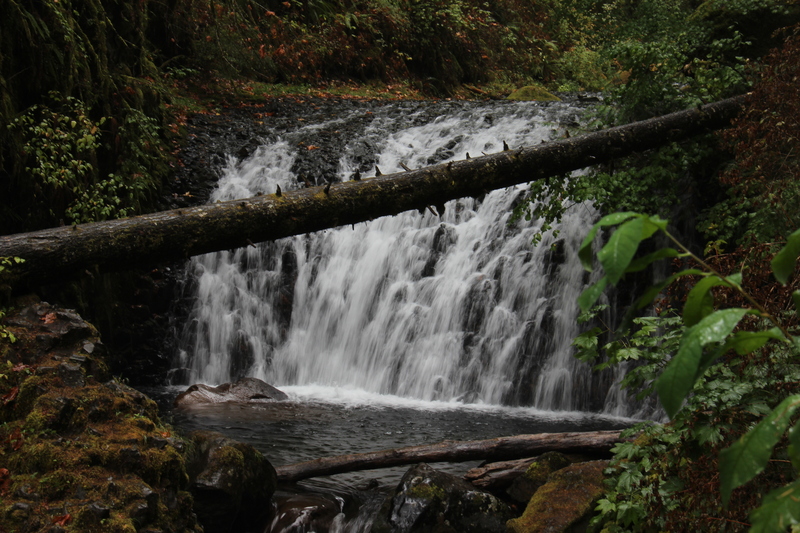 About 4 miles in, we reached Fairy Falls, which I think was my favorite waterfall of the day. 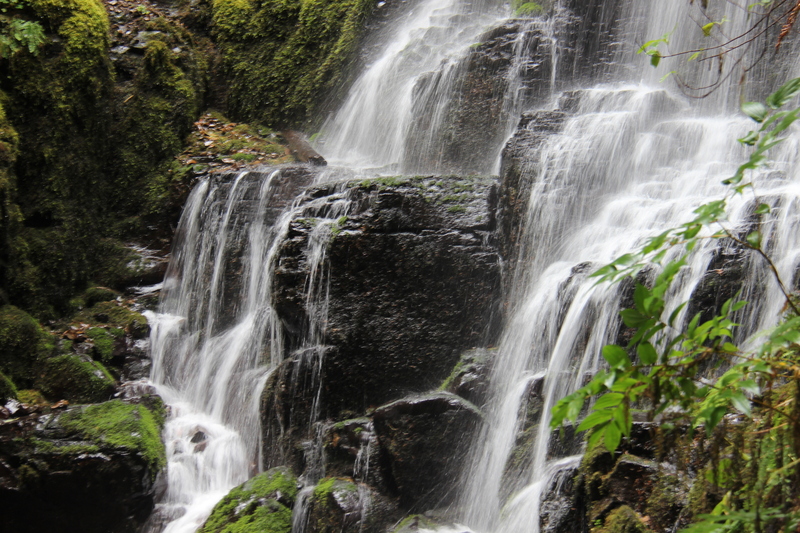 A few more unnamed waterfalls along the way! 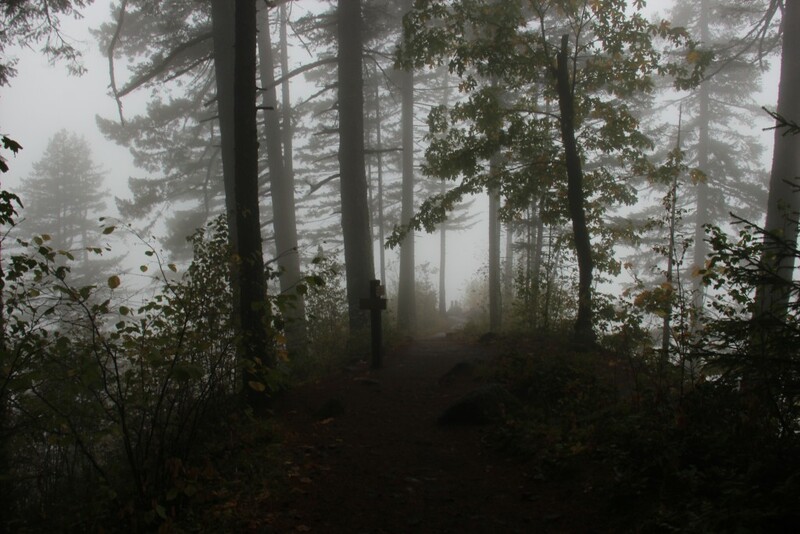 The rainy, foggy weather was so eerie! I’m sure this is a beautiful view of the Columbia River Gorge on a clear day! 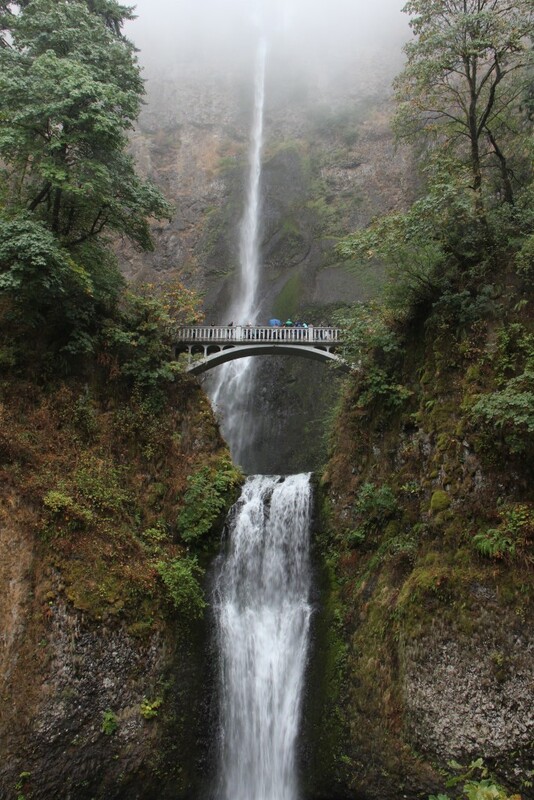 After Wahkeena Falls, a short half mile connector trail takes you back to the parking lot where you started, and you can get one last look at Multnomah Falls before heading back to your car. 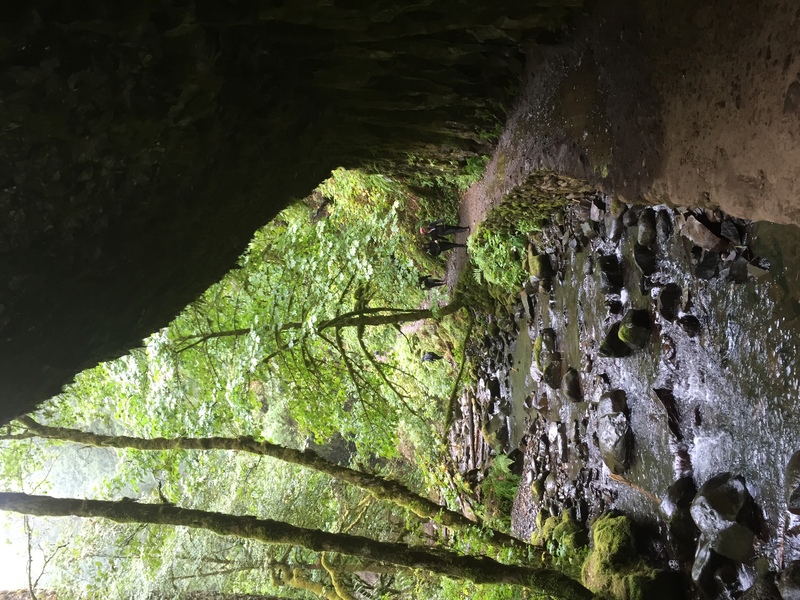 This 5.4 mile loop is the perfect hike to experience the Columbia River Gorge and get away from the crowds that hang around at Multnomah Falls. 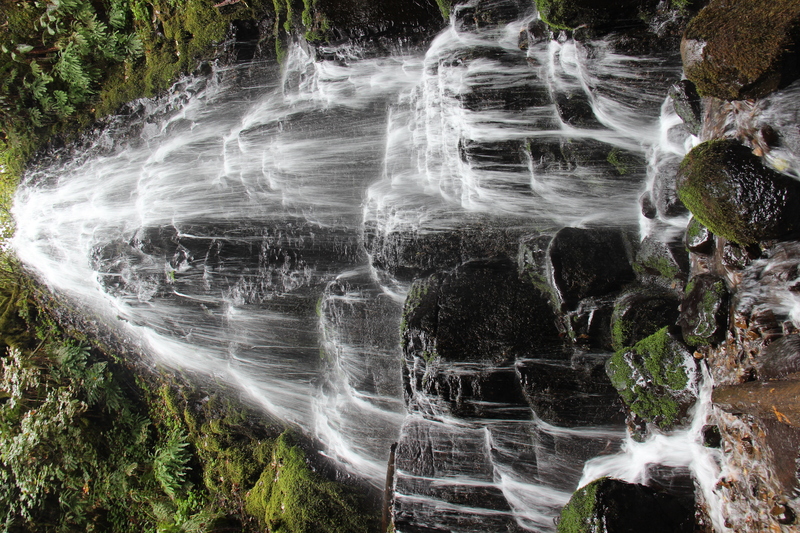 However, if you’re still itching for more waterfalls (like I was!) 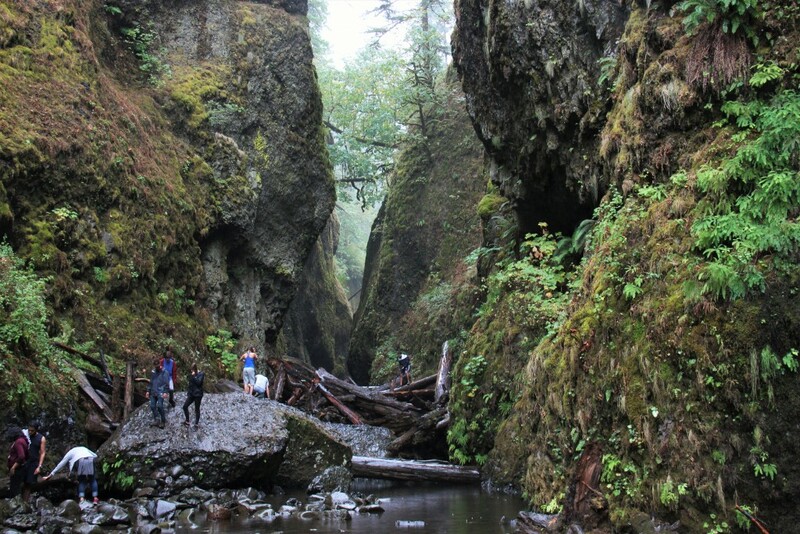 though, head down the highway a few miles to Oneonta Gorge. 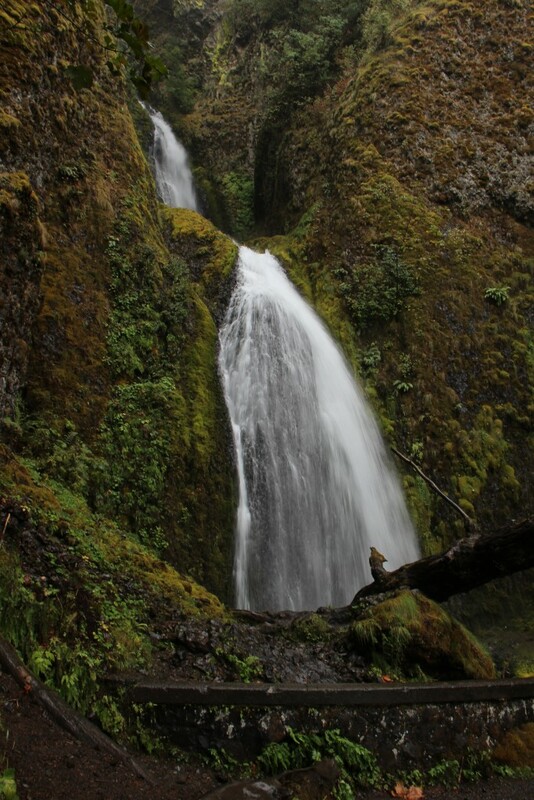 We hiked another 2.7 mile loop there, to three more waterfalls. 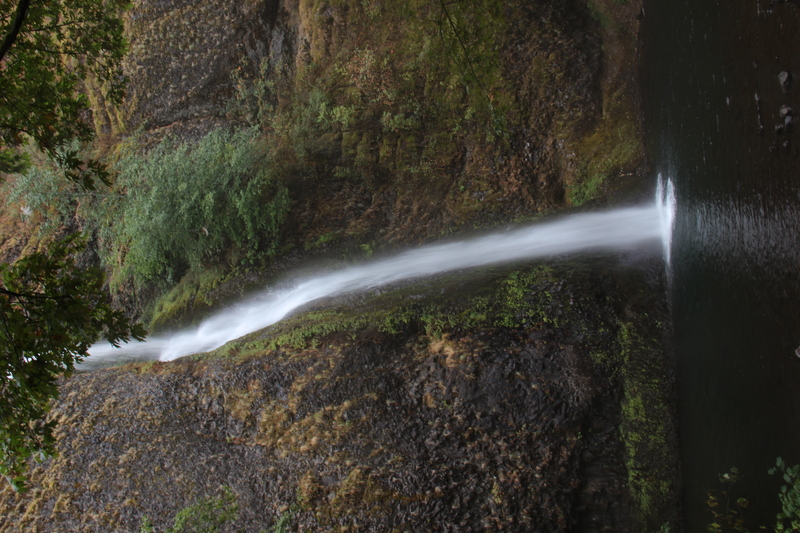 First up was Horsetail Falls, which is right next to the road. About a half mile in, we reached Ponytail Falls, a unique waterfall where the trail actually goes behind the falls. 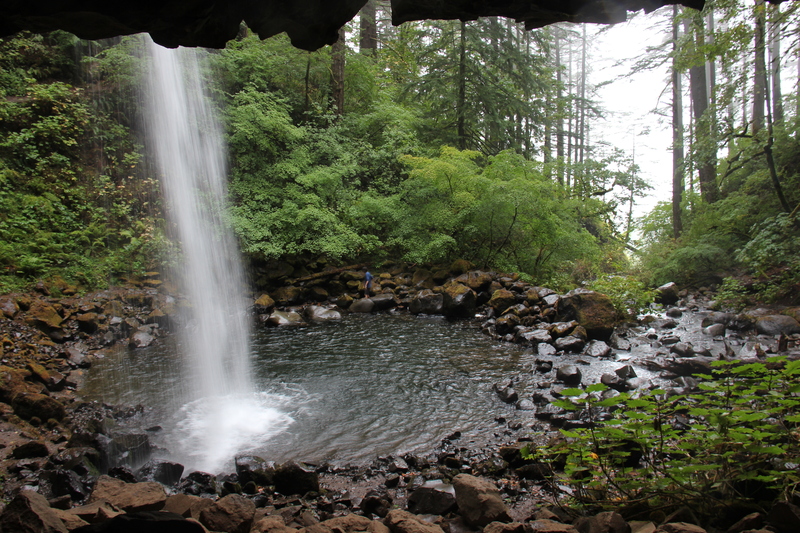 It was so cool to hike behind the waterfall! 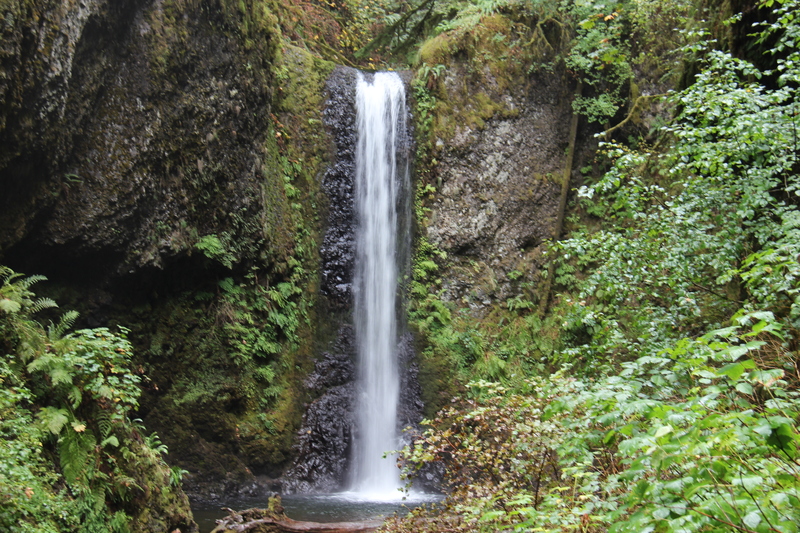 And here’s our last waterfall of the day, Upper Oneonta Falls. It was already pretty late in the day for us, and we were cold from hiking in the rain, so we didn’t hike back very far, but it is definitely on our list to come back here in the summer and hike all the way in. 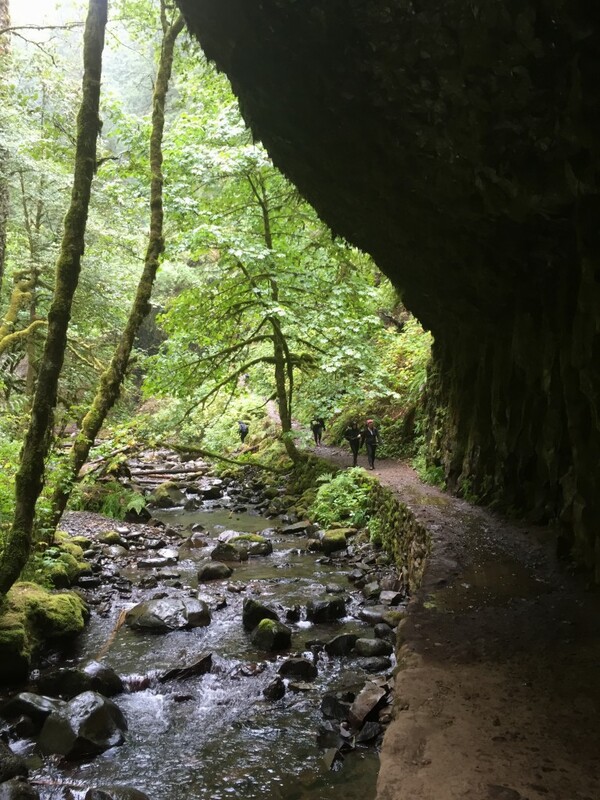 The Columbia River Gorge is a beautiful area, and there are so many places to get out of the car and hike in to see lots of waterfalls and really experience the Gorge. 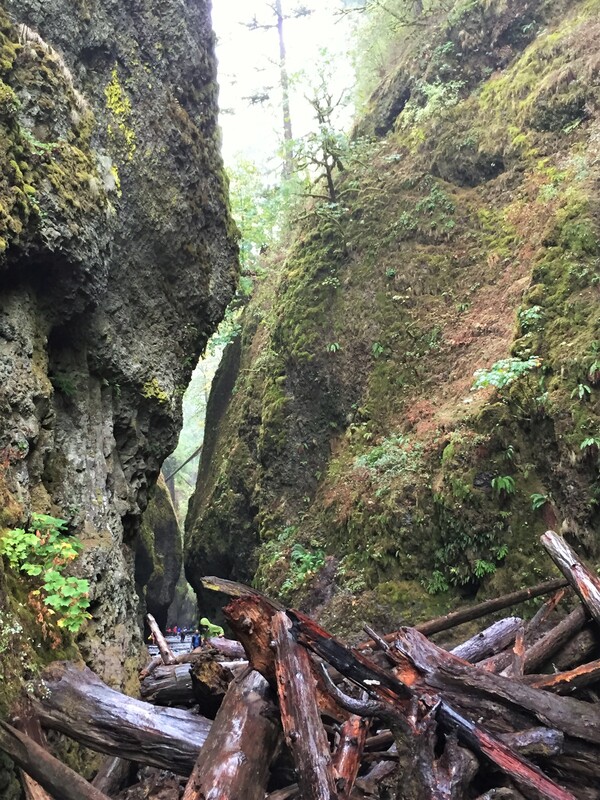 These two hikes make for a perfect day trip from Portland, or a great stop on your Ultimate Oregon Road Trip! Have you been to the Columbia River Gorge? What was your favorite part? Let me know in the comments below! 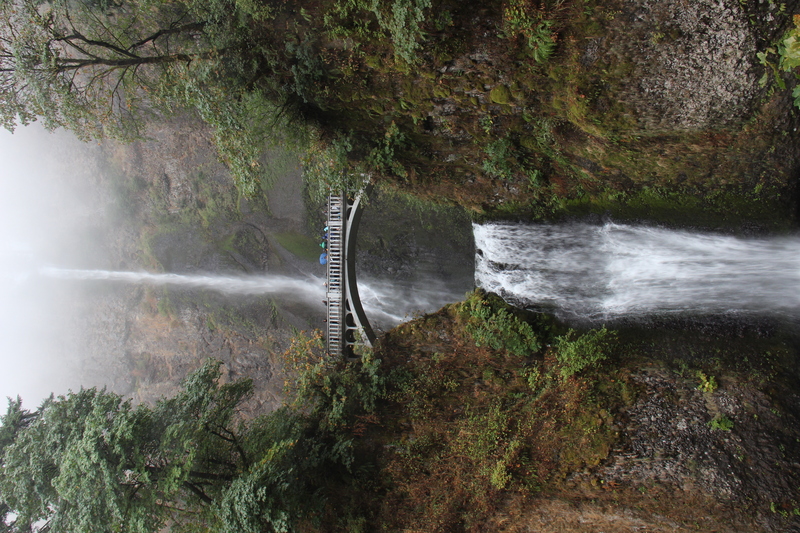 Check back later this week for the next stop on our Oregon tour – Hood River! 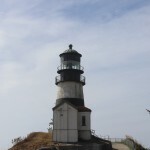 Can’t remember how I found your blog, but I’m glad I did. 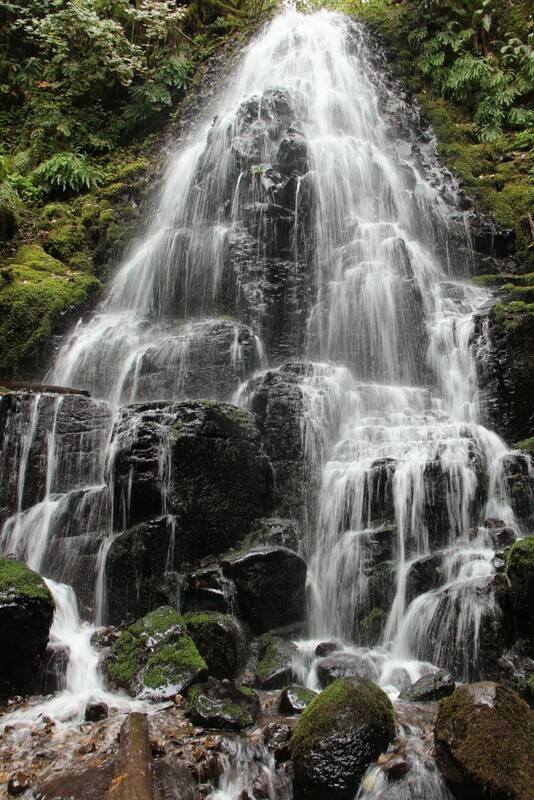 I love seeing your beautiful pics of the gorgeous Pacific Northwest! Your experiences mirror my daughter’s. 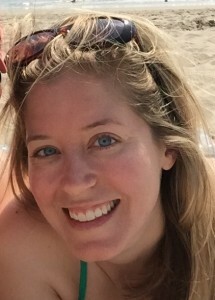 She and her husband lived in the Chicago burbs and went to Portland on vacation and fell in love with it. They came home, packed up their stuff, and moved! Their road trip out west was similar to yours. 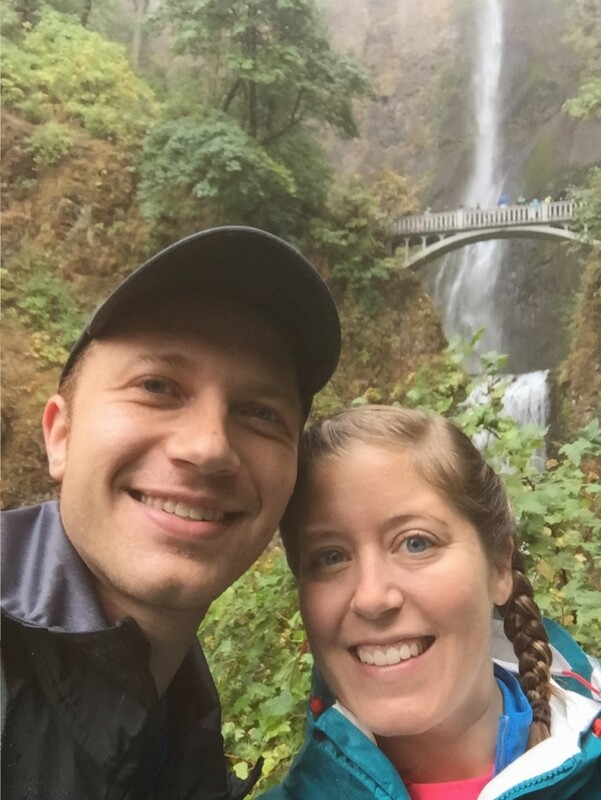 We have visited many times and have hiked Multnomah Falls, too, so I just had to comment! 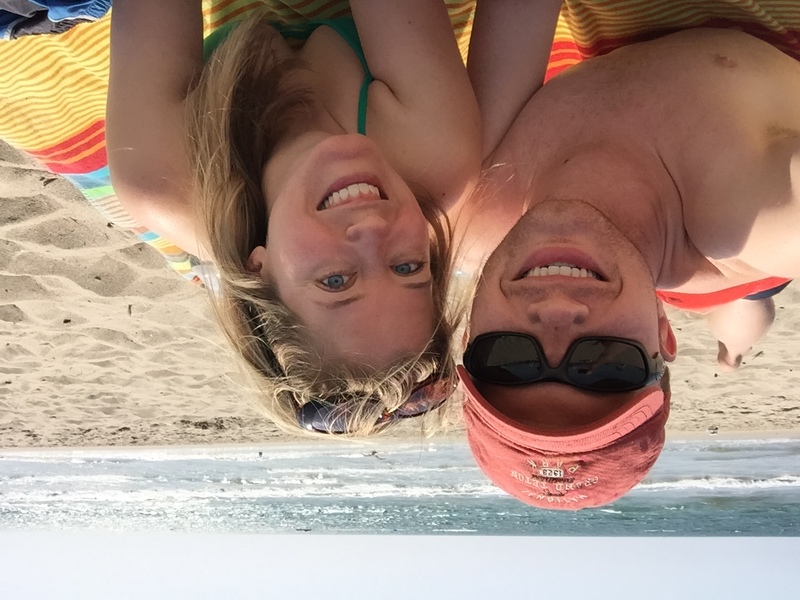 I love seeing what my former students are doing and it sure looks like you have found your happy place! So this is a blast from your past ~ sixth grade language arts! I look forward to following your journey!! Hi!! Wow it is so fun to hear from you! So glad you found my blog 🙂 I love that your daughter and her husband picked up and moved after just one trip. 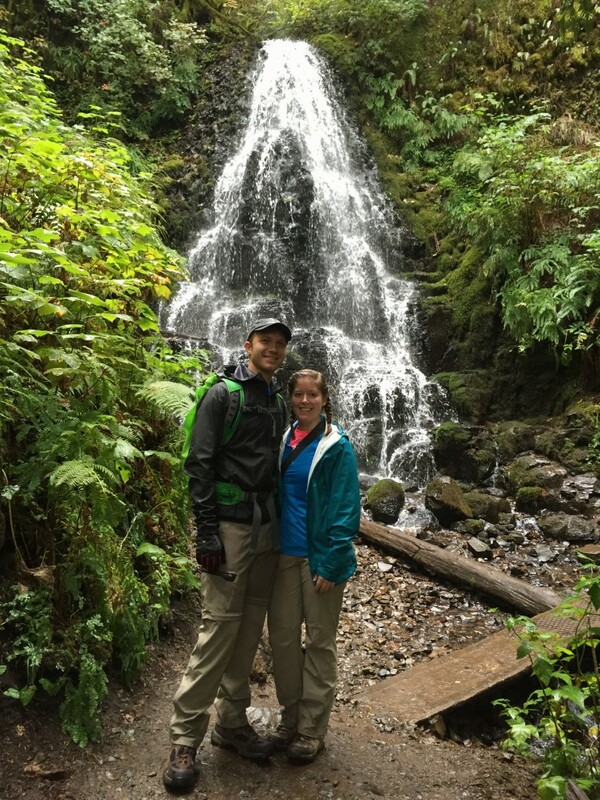 The Pacific Northwest is such a beautiful place and I absolutely love living out here – I’m sure they do too! Thanks so much for commenting and letting me know you found me! 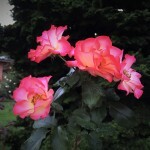 Hope all is well with you! 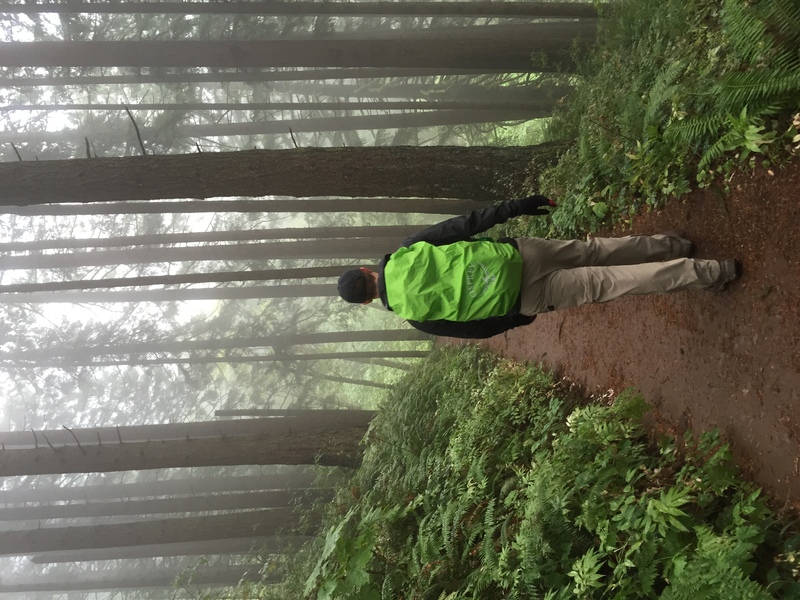 How long does it take to hike to the top of Multnomah and back down? How long does it take to hike the full loop/circle from the base to base? How long does it take to hike the whole loop of oneonta narrows? 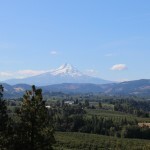 I put Oregon and your blog on my Pinterest bucket list. Absolutely beautiful pictures! And especially all the details, which is hard to get from people. 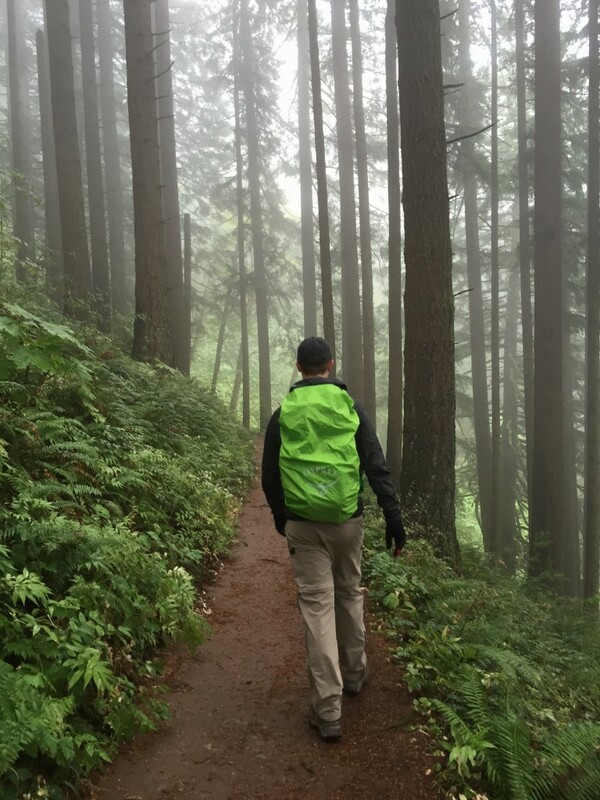 I live in the AZ desert and would love to hike in the dense forest. Thanks!